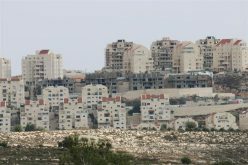 On the February 28, 2007, the Israeli daily newspaper 'Haaretz' published on its website a plan submitted by the Israeli Ministry of Housing and Construction to establish a new Jewish neighborhood comprising of 11000 housing units in north of East Jerusalem. The neighborhood, according to Israeli sources, will accommodate Ultra-Orthodox settlers into the area, which come as a non-surprising step by the ministry of Housing and Construction towards the Judaization of occupied Jerusalem city. The area designated for the establishment of the new neighborhood is located within the Israeli illegally and unilaterally redrawn Jerusalem municipal boundaries of 1967, which came on the expanse of 28 Palestinian communities surrounding Jerusalem city and resulted in the expansion of the municipal boundaries of occupied East Jerusalem city from 6.5 Km² to 71 Km². For more info, click here: 'The Geopolitical Status of Jerusalem Governorate'. The plan for the new Jewish neighborhood, if approved by the Israeli Jerusalem Municipality, would be 'the largest' Jewish neighborhood to be constructed on the lands of the Illegal redrawn municipal boundary of Jerusalem city following the 1967 war as conceived by planners. 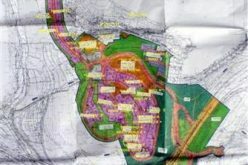 In addition, the published plan indicated a proposed tunnel beneath the Palestinian village of Kafr ‘Aqab northeast of the proposed site for the new neighborhood, to be constructed in order to link the neighborhood with Israeli settlements located outside the Municipal boundaries of Jerusalem city, those sets outside the route of the Israeli Segregation Wall which Israel is construction around the city of Jerusalem (Jerusalem Envelope) such as the settlement of Kochav Yaccov, the closest Israeli settlement to the location of the projected Jewish (neighborhood) and other settlements located in the east. 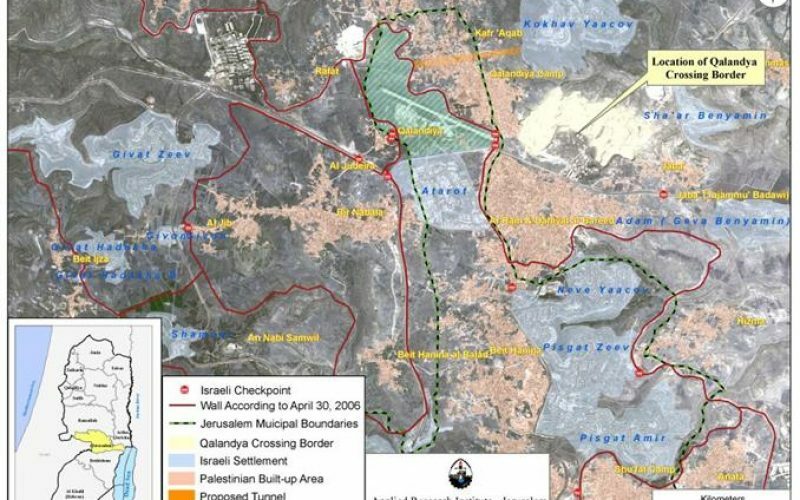 However, it is unlikely that the tunnel will be constructed as the proposed site for the neighborhood is connected to an Israeli controlled road that leads to settlements cluster at the east and another road at the south that leads to the heart of occupied Jerusalem and Israel. Immediately after the June 1967 war, Israel started to implement its colonial plans in East Jerusalem. The first move was in the Old City where the Israeli bulldozers destroyed the Moroccan Quarter, which lies adjacent to the Buraq Wall (Israel claim as “Wailing Wall”), and the courtyard of the Holy Sanctuary. Later on, Israeli religious groups settled the targeted area with the support and the protection of the Israeli Army and formed a plaza in front of the Wailing Wall for the Jewish prayers.The total area of land confiscated for this purpose was 116 dunums, an area containing more than seven hundred houses and shops, five mosques and four schools. As a result, Israel expelled more than 900 Palestinian families who were living in the Quarter. Located in the northeastern side of Jerusalem city, this Israeli-Jewish settlement was built in 1972 on lands confiscated from the villages of Beit Hanina, Hizma and Ar-Ram cities. Today the settlement occupies an area of 1241 dunums and is a home to more than 30000 Israeli settlers. The Settlement of Pisgat Ze’ev was established in 1985 on lands confiscated from the two Palestinian villages of Beit Hanina and Hizma. Later of the same year, the settlement of Pisgat Amir was established east of Pisgat Ze’ev on the confiscated lands of the two Palestinian villages of Shu’fat and Anata. These two Israeli settlements are located in the northeastern part of Jerusalem and form a physical barrier between Shu’fat and Beit Hanina from one side and the village of Hizma, which falls outside the Israeli established Jerusalem municipal boundary on the other side, with a purpose to establish a cut-off point for the Palestinian urban expansion in Jerusalem and interrupt its continuity with other Palestinian communities in the West Bank. 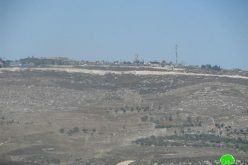 The two Israeli settlements occupy an area of 4062 dunums. Both Israeli settlements expand towards the north and connect with the settlement of Neve Ya’acov. The settlement of Rekhes Shu’fat was established in 1990 in the northwestern part of Jerusalem on lands confiscated originally in 1970 from the Palestinian village of Shu’fat. The location where the Israeli settlement is located today was zoned by the Israeli municipality of Jerusalem as ‘green area’, where all kinds of constructions are prohibited. The settlement connects with the two settlements of Ramat Ashkol and Ramot Allon, which completely blocks the northwestern entry of Jerusalem city and connects them with West Jerusalem. The settlement occupies an area of 1625 dunums. Ramot Allon is located in the northwestern part of Jerusalem. It is the largest of East Jerusalem Israeli settlement in terms of population, which exceeds 40,000 Israeli settlers. The Israeli authorities confiscated where the settlement stands today (4840 Dunums) from the villages of Lifta, Shu’fat and Beit Iksa in 1970. At that time, the Israeli confiscation process marked the largest of its kind from the Palestinians in East Jerusalem. It was not until 1973 that the settlement was established on area of 3383 dunums. Ramat Ashkol is one of the first Israeli settlements constructed after the 1967 war. To that end, in 1968, the Israeli authority confiscated 2345 dunums of Palestinian lands to achieve to establish Ramat Ashkol, which formed an urban continuity with Israeli suburbs in West Jerusalem. Later on, another settlement was constructed under the name of Ma’alot Dafna, part of which was built on lands designated as “no-man’s land” according to the 1949 Armistice Line Agreement (Green Line). Today, the combined area of both Ramat Ashkol and Ma’alot Dafna is 1118 dunums. This illegal Israeli community is one of the pioneer Israeli neighborhoods Israel constructed after occupying East Jerusalem in 1967. 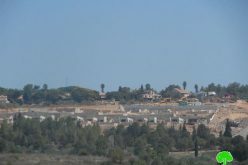 The neighborhood was established in 1968 on confiscated lands from Lifta and Shu’fat villages, located between the Hebrew University and the settlement of Ramat Eshkol. The Israeli French Hill neighborhood closed the northern entry of Jerusalem. Today, the settlement covers an area of 688 dunums and accommodate nearly 7000 Israeli Jewish settler. The settlement of East Talpiot was established in 1973 on confiscated lands from the Palestinian village of Sur Baher. The land where the settlement exists today is part of 2240 dunums confiscated by the Israeli authorities in the early 1970s. The area where the settlement is located is part of the “no-man’s lands” Armistice Agreement of 1949 (Green Line). Today this settlement covers an area of 1829 dunums and is a home to 6631 Israeli settlers. 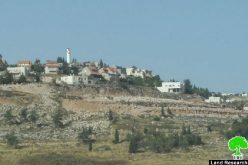 The settlement of Har Gilo was established in 1972 on lands originally confiscated from Beit Jala and Al Walajeh Villages. Today the settlement is a home to nearly 400 Israeli settlers and occupies a total land area of 415 dunums. In 1970, the Israeli authority confiscated 2700 dunums of lands from Beit Jala, Beit Safafa, and Sharafat towns in order to build a new settlement south of Jerusalem. One year later, the Israeli bulldozers started work on the settlement of Gilo, which stands today and overshadows the city of Beit Jala at its northern side, the southern entrance of Jerusalem. 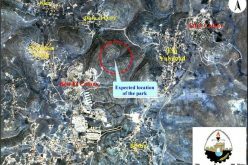 Consecutive Israeli governments have expressed great interest in further development of this settlement because of its strategic location and ability for further expansion. Today, Gilo settlement has expanded on additional hundreds of dunums and is considered one of the largest Israeli settlements in the West Bank with a population exceeding 30000 Israeli settlers. Abu Ghanim Mountain is located at the northern part of Bethlehem Governorate in an area annexed to the Israeli unilaterally declared Jerusalem municipal boundary. Originally, the mountain comprised a forest and was classified ‘Green Area’. 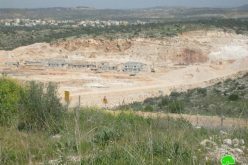 However, in the spring of 1997, when the Israel municipality of Jerusalem has finalized the process to control the mountain, including the plans of the new Har Homa settlement, the mountain area was reclassified to building zone and thus the Israeli bulldozers started annihilation process of the forest with more than 60 thousand pine trees uprooted to clear way for Har Homa settlement. 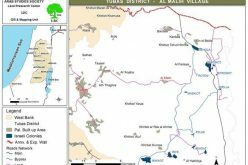 This settlement was established in 1991 on lands confiscated from the two Palestinian villages of Beit Jala and Beit Safafa. It is located east of Gilo settlement near the traditional main street connecting between Bethlehem and Jerusalem. Giv’at Hamatos has an area of 287 dunums and is a home to 1189 Israeli settlers. The establishment of Israeli settlements and neighborhoods inside the city of Jerusalem is one step adopted by the consecutive Israeli Governments ever since the Israeli occupation of the West Bank (including East Jerusalem) and the Gaza Strip. Hague Agreement of 1907 specifies that 'it is especially forbidden- to destroy or seize the enemy's property, unless such destruction or seizure be imperatively demanded by the necessities of war.' Moreover, 'The occupying State shall be regarded only as administrator and usufructuary of public buildings, real estate, forests, and agricultural estates belonging to the hostile State, and situated in the occupied country. It must safeguard the capital of these properties, and administer them in accordance with the rules of usufruct” (Art. 55). Moreover, the Fourth Geneva Convention specifies, “The Occupying Power shall not deport or transfer parts of its own civilian population into the territory it occupies,' (article 49).